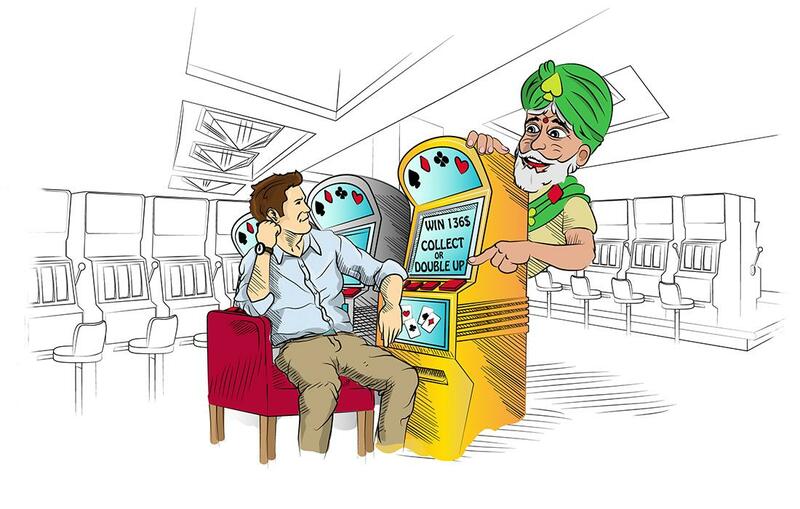 Three reels, one payline, no fuss. A well designed, simple game, with high variance and a wide range of stakes, that does exactly what it aims to do. However, its simplicity may not be to everyone’s taste and its RTP could be higher. The theme for Double Diamond could be called Classic Slots. The layout is simple: three reels, one payline, and a table of payouts that can be read in thirty seconds. The goal is to hit three of a kind of any symbol, or any number of cherries. Double Diamonds are wild and when combined with themselves result in the biggest payouts. The idea seems to be to give the old Vegas feel of a 1960's one arm bandit. With bars, cherries and the lucky number seven in among the symbols. Given the simplicity of the set up, it is perhaps unsurprising that the design is highly elegant. The classic symbols are designed well, the sound is unobtrusive, and the animations are clean. It achieves its goal of being simple and unfussy. It may not get everything right, but it also doesn’t get anything particularly wrong. All of this adds up to a very clean gaming experience. 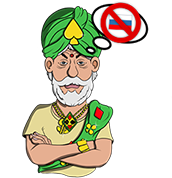 Fans of newer slot machines with exciting features like cascades and bonus spins might find Double Diamond a little monotonous. 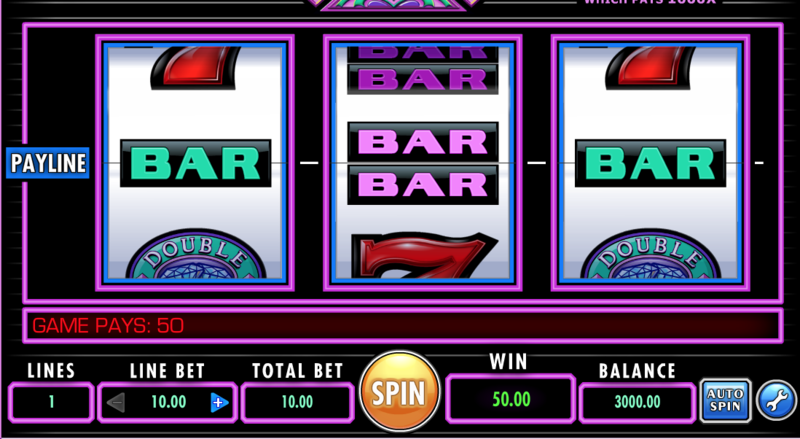 There is very little variety in anything other than the payouts, but you probably aren’t playing a three reel slot like Double Diamond if you are looking for a wild ride. It does make up for the monotony with fast gameplay. Not too fast though: spins are long enough to generate tension but don’t overstay their welcome. Still, if you want bells and whistles the game can get dull quite fast. Although Double Diamond has no free spins or bonuses, it does have three symbols which play as wilds, semi-wilds and scatters. The first is the cherries which will payout 2x your bet if you get one, and 5x if you get two no matter what the order they land in. The second wild card is the fact that any of the three Bar symbols can match to pay out 5x the bet. So in the image below although the middle bar is a different symbol the player receives 50 coins for his 10 coin bet an ‘Any Bar’ payout. This is the lowest payout for the various Bar symbols. The third and most important Wild symbol is the Double Diamond symbol, which matches with all symbols and acts as a multiplier when it does. In the example above, if the right hand symbol were a Double Diamond instead of a single Bar then the multiplier of 2x would be applied to the 5x payout for a total of 100 coins for the 10 coin bet instead of 50 coins. See the payout table below for further details of how this works. Since there is only one win line, the coin multiples are fairly straight forward and often provide a very high range of stakes. The site we tested allowed bets from £0.40 to £500 per spin for example which allows for several systems to be applied to your betting. The RTP is 95.44% which is pretty close to the industry standard of 96%. This RTP however comes with a very high variance. The game has long periods of paying out nothing with the occasional modest win and very rare windfall thanks to the Double Diamond symbols multiplier feature in particular. 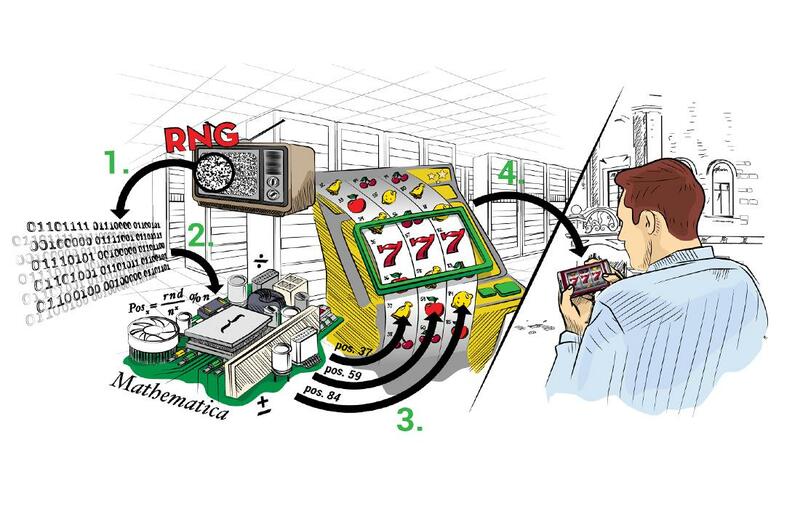 As a result this game works well for many of our slot machine strategies, but players should also be aware of the high risk. 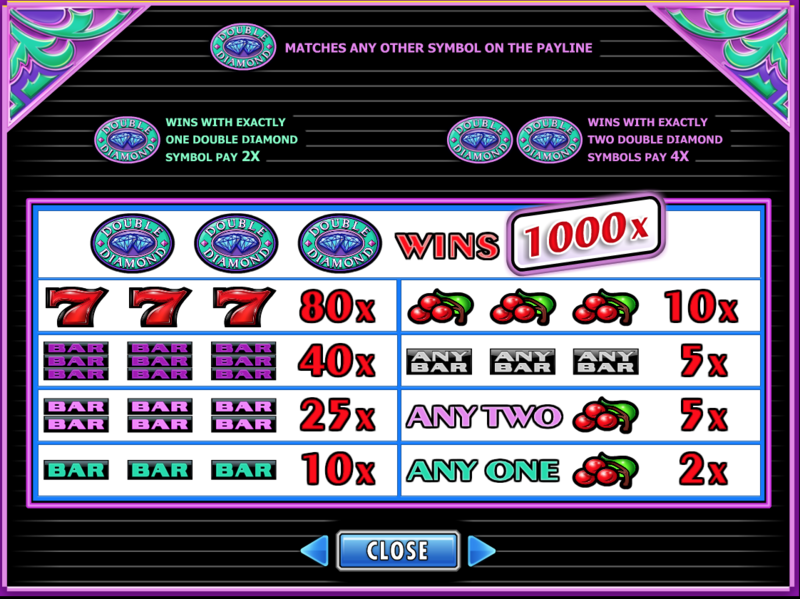 Double Diamond is a classic three-reel, single payline slot that simulates the early days of slot machines with great care. However, its very simplicity can make for a boring session and many players may find themselves looking elsewhere for variety. The RTP of 95.44% is not far from the industry average but can be easily bettered by hunting around and its high variance can make for some exciting big wins.